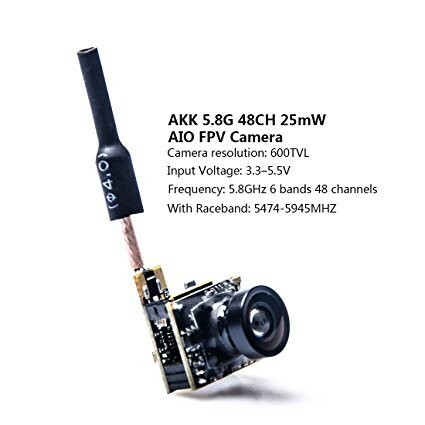 AKK BS2 is just another AIO micro camera, comes in Super light weight, only 3.5g. The camera is small and compact but also full of functions. 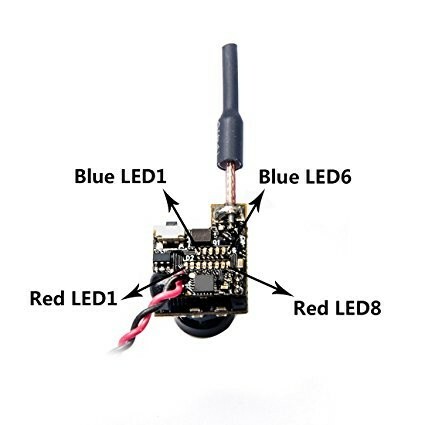 It can be installed in minutes and ready to fly, the signal range is ideal for park flyers or racing quads. This camera is well received for its affordable price and awesome performance. 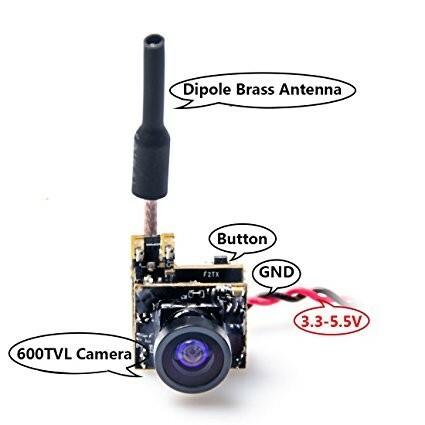 Super light weight, only 3.5g, dipole antenna for better signal transmission, easy to install. 8LED display channel and 6LED display frequency group information. 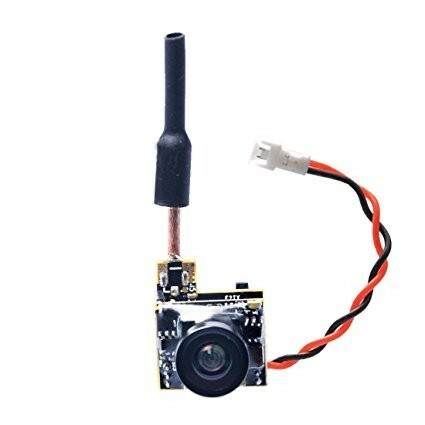 The go to camera for the Tiny Whoop racing. Combined with the Inductrix for perfect FPV addition. 48 channel with raceband, good quality image with zero latency, Button control instead of switches to change channels. 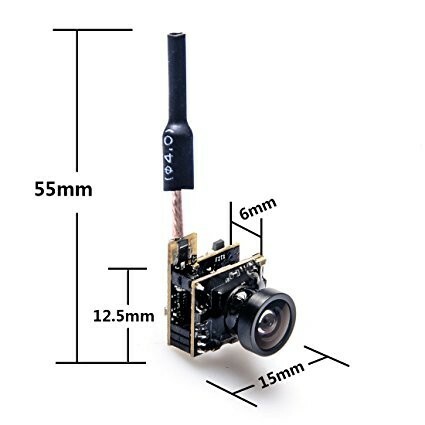 This AIO camera can be installed in minutes and ready to fly. 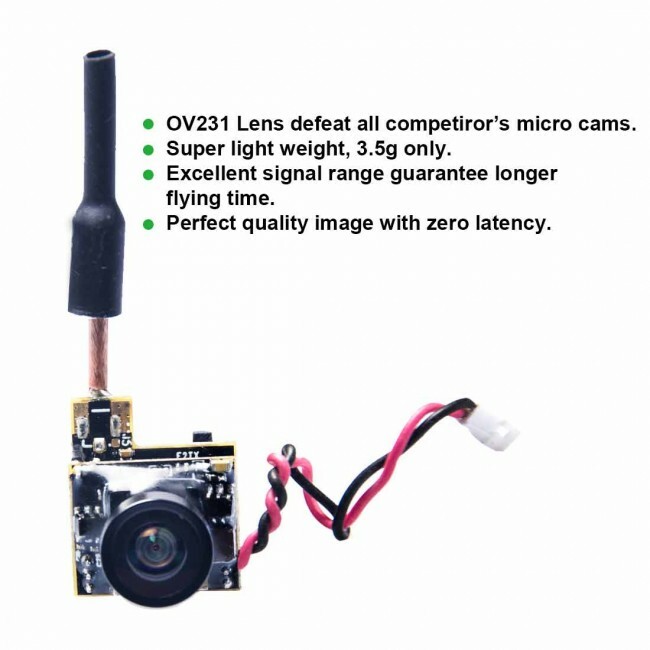 Its signal range is ideal for park flyers or racing quads. Press and hold the button for 2s to change bands, 1-6 adjustable. The picture quality is superb and so is the build.